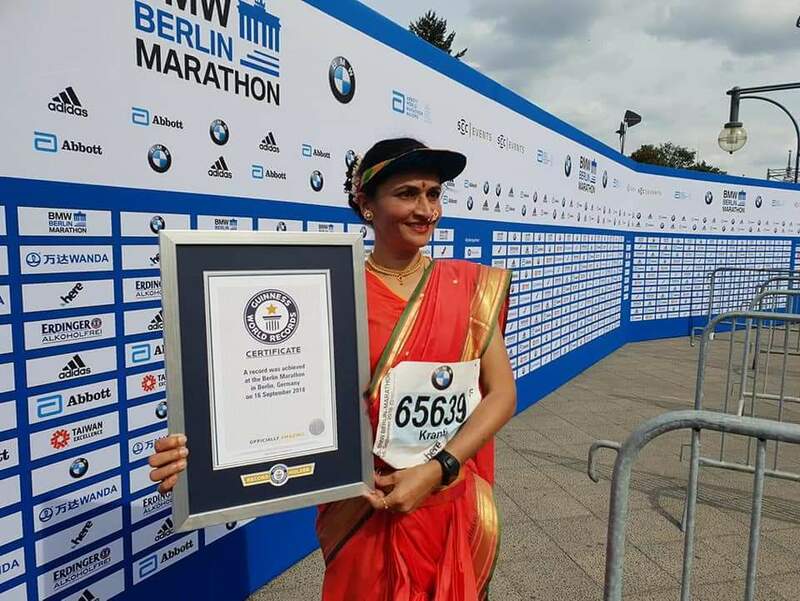 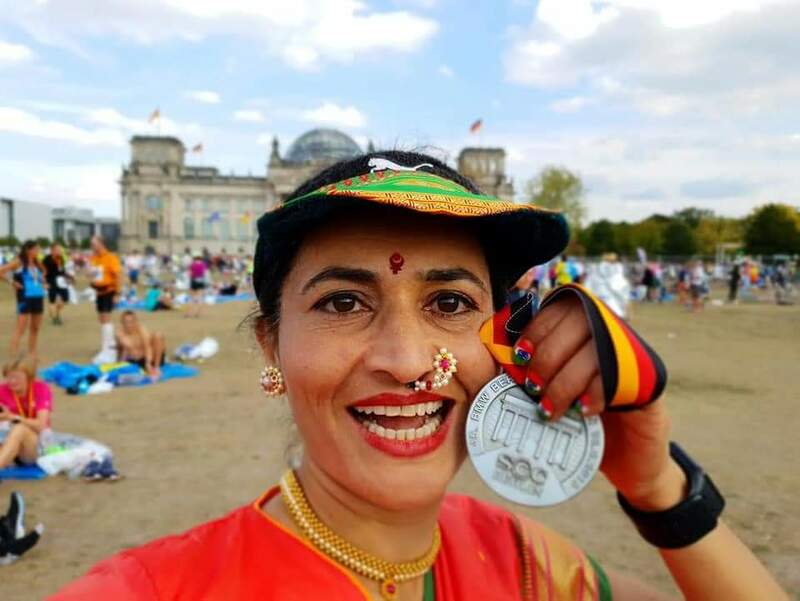 A 40 plus ordinary housewife Kranti Salvi has created Guiness World Record by runnning Berlin Full Marathon yesterday wearing 9 Waari Saree and completing in record time of 3.57 Hrs. (42 kms). 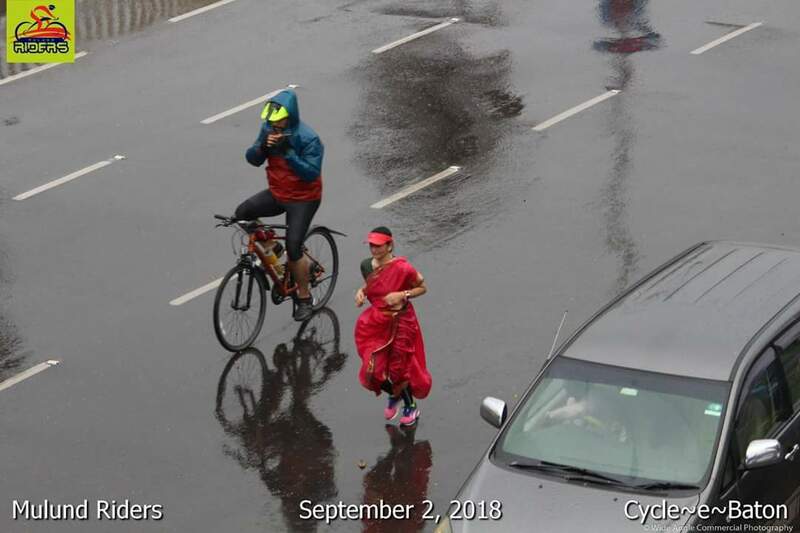 On 2nd september, during our Cycling race we saw her practising at Eastern Express Highway. Salute to her for her determinatation and her achievement. 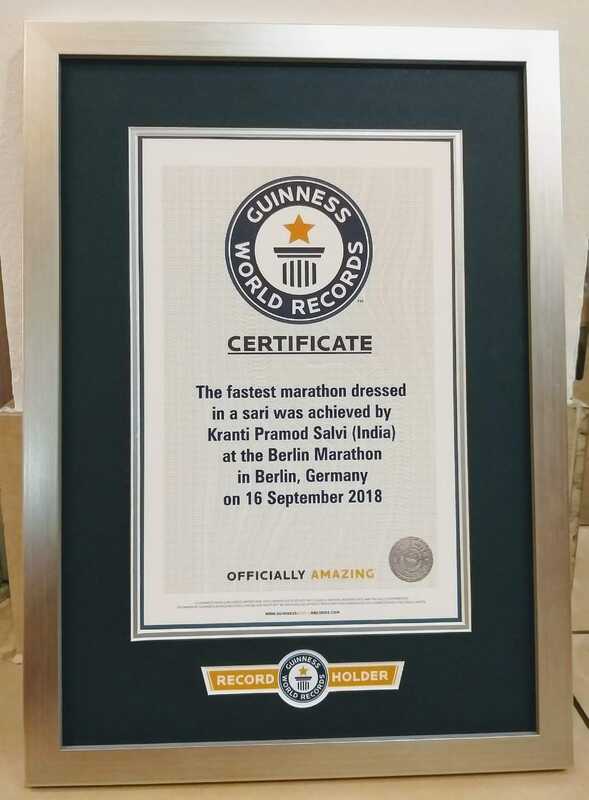 Simply amazing and incredible. OMG! thank you for this post and your wishes!